Like a lot of busy mothers, I often find myself stuck in a dinner rut making the same meals over and over again. I’m always looking for new & healthy meal ideas for my family that are also quick and easy to prepare. I was browsing the Eggs.ca site last week and came across Pizza Frittata and I was excited to give it a try! Don’t let the fancy name fool you – it is really easy to make. 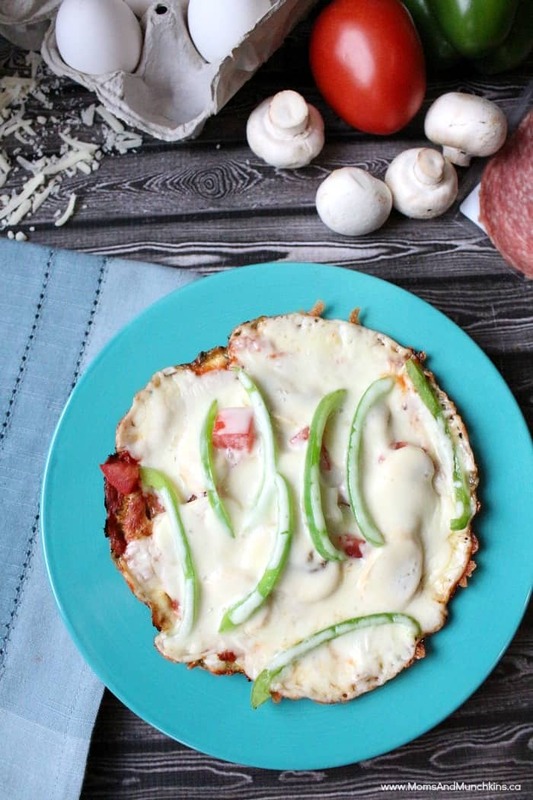 The ingredients include eggs, vegetables, cheese and more so it’s a meal packed full of healthy nutrients. 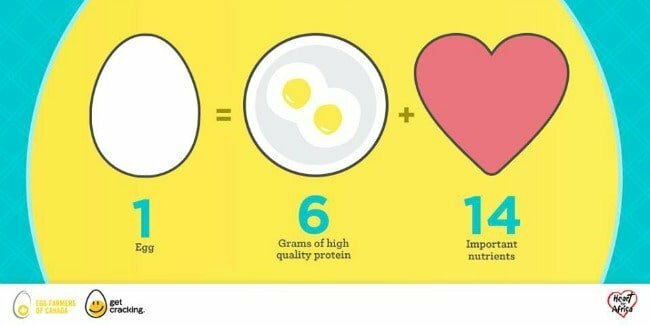 What Makes Eggs Such A Healthy Choice? With 6 grams of high-quality protein and 14 important nutrients like vitamins A, D and E, iron, zinc and choline, eggs are a healthy choice for family meals. We’re fortunate in Canada to have access to fresh, nutritious and high-quality proteins year round. Remember – eggs aren’t just a breakfast meal! This recipe serves one so increase the ingredients depending on how many people you are serving. Whisk eggs, water, pepper, oregano and basil; set aside. Spray 8-inch (20 cm) non-stick skillet with cooking spray. Heat skillet over medium-high heat. Pour in egg mixture. As eggs set around edge of skillet, with spatula, gently lift cooked portions to allow uncooked egg to flow underneath. Cook until bottom is set and top is almost set. Lower heat to medium-low. 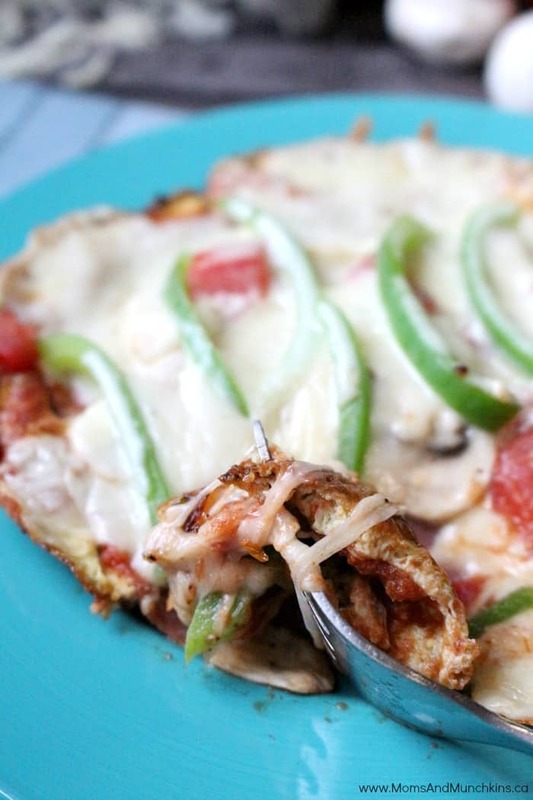 Spread pizza sauce over frittata. Sprinkle pizza toppings and cheese over sauce. Cover skillet with lid and cook for another minute to melt cheese. Loosen frittata around edge of skillet, then slide frittata onto plate. This looks scrumptious and would be a real winner in our house for dinner. I have to make this very soon!! Oh my mouth is watering looks so delicious! This looks so delicious! 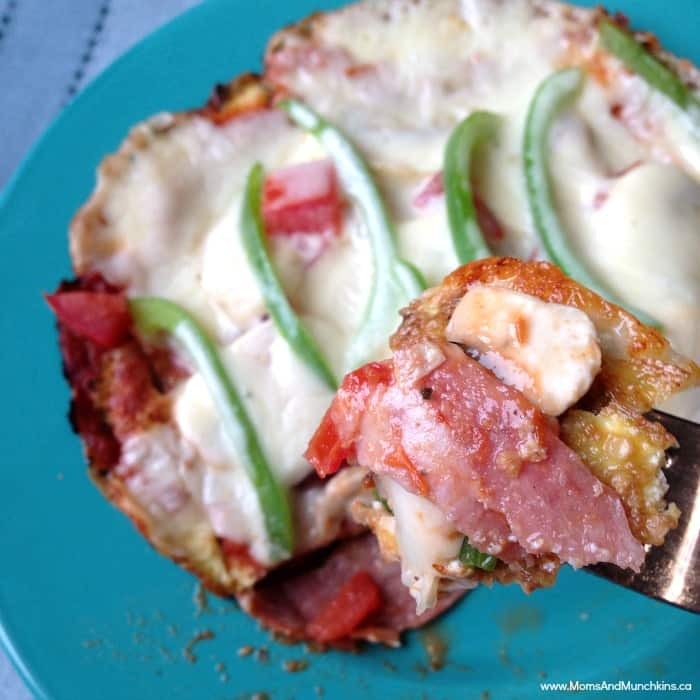 What a great way to make the flavors of a pizza healthy! This looks like a good recipe that you could make with items on hand. Thanks for adding your yumminess to the Thursday Favorite Things Blog Hop! This post has been pinned to our group board.